As a certified Tier 2 Baptiste yoga teacher, Amy aims to bring powerful presence and energy to her students. You can expect dynamic, challenging classes. She believes in the magic of yoga beyond the physical- and yet physical practice is how we go deeper- so expect to be pushed to your edge and to explore the boundaries and limits of your body! 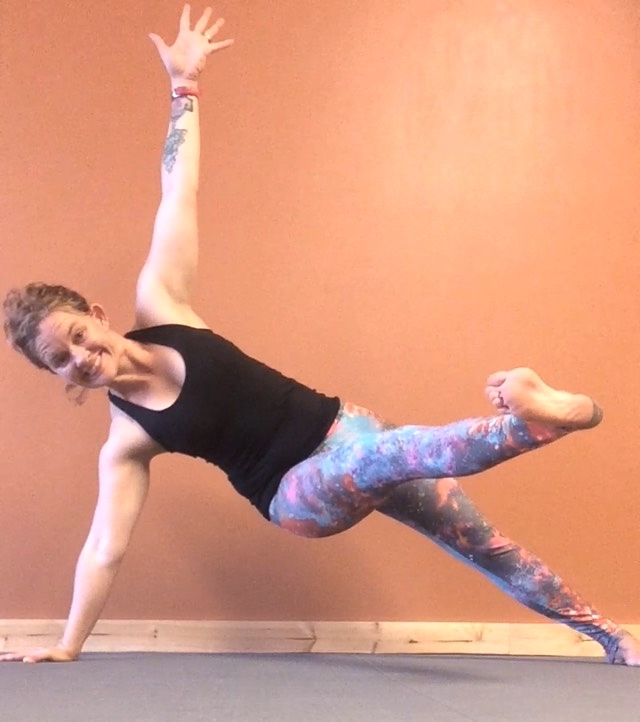 Amy believes that curiosity and inquiry are key components of practice, and encourages students to be playful and explore their own bodies and the way they do poses day to day through the sharing of her own experiences on and off the mat. Yoga has illuminated Amy’s biggest and brightest self and helped her realize her full potential, and she encourages students to discover the same for themselves. When she’s not practicing or teaching yoga, you can find her working on her farm, hitting the crossfit gym, hiking the nearest mountain, or swimming in a lake!